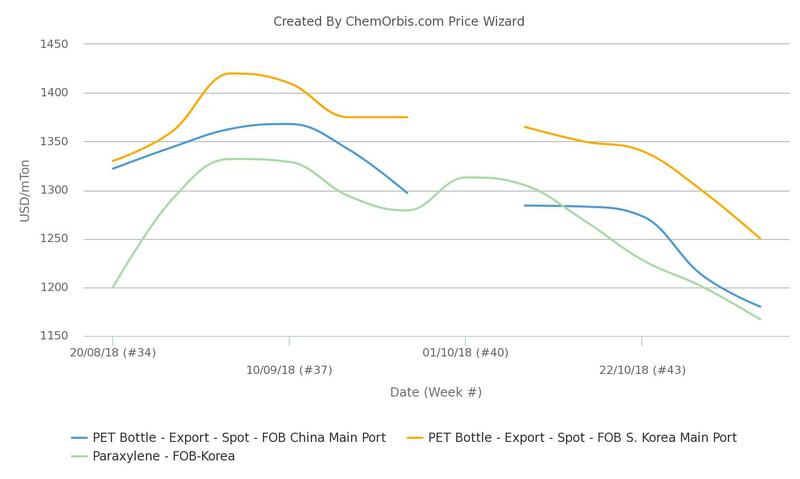 PET prices out of China and South Korea to the export destinations have been on a downtrend since around the middle of September under pressure from bearish upstream markets. The bearish trend gained momentum starting from October while export PET prices out of the region have recently hit their lowest levels since April, according to the weekly average data from ChemOrbis Price Index. Spot paraxylene (PX) prices on an FOB Korea basis also sank to a four-month low this week, the data suggested. Chinese PET producers blamed decreasing PTA and PX prices as the main driver behind the ongoing bearish trend, while they voiced divergent expectations when it comes to the future pricing trend. 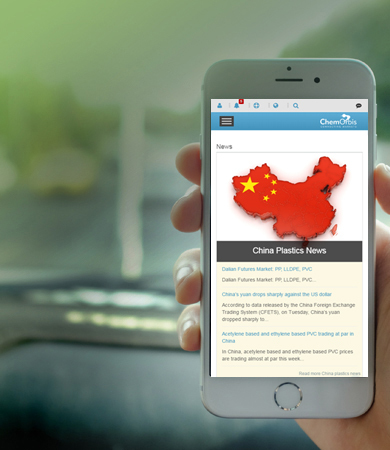 Nonetheless, a source from another Chinese PET producer set forth a pessimistic view for the market outlook. “Converters are not willing to build stocks due to the bearish trend. The outlook is not promising considering the persisting concerns about the US-China trade dispute and volatile crude oil futures,” he argued.